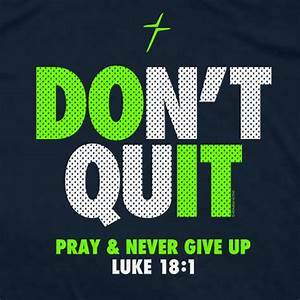 God's not quitting, neither should you. God’s not quitting, neither should you. Never think for a moment that your purpose is a lost cause. Remember that God gave it to you and whatever He provides, He will give you the tools to excel. There may be some obstacles in your path, but remember that everything is always working for a greater purpose even when you don’t understand it. So keep on pressing forward and keep your praises up to God. He will never quit propelling you when He has given you a specific destiny. So, never quit on yourself. Get up, get moving and trust that as long as God is your GPS, you’ll keep improving. Take care, stay encouraged and God bless you my encouragers.